I spend a lot of time at a computer screen, and it’s not a large one. I work on a MacBook Air so I’m staring at a smallish screen during the day and for a large part of the evening when I do the bulk of my work. Eye fatigue was becoming an issue, so when Gunnar offered to send me a pair of their new Joule computer eyewear I jumped at the chance. But, would they actually work? As hopeful as I was that these would help, I was also very, very skeptical. I couldn’t imagine how just a pair of glasses would make a difference. What I didn’t know was that Gunnar Optiks are more than just a pair of pretty glasses and that they pack some impressive technology. The first thing you notice when you take them out of the box is the IONIK lens tint. I tried the new Joule eyewear and it has an amber tint that made me think of sunglasses. It seems counter intuitive that something that looks like outdoor eyewear would help with viewing a computer screen, but the lens tints on Gunnars are designed to increase contrast perception and filter our harsh artificial light, not shade your eyes from the sun. You’ll also notice the FRACTYL lens geometry that curves and wraps the lens more than other eyewear. This serves to limit airflow that can dry your eyes and slightly magnifies your screen so that your eye muscles relax. Other tech packed into this eyewear can’t be seen, like the anti-reflective i-Fi lens coating and diAMIX lens material that provides an optically pure image without distortion. But, it all comes down to one thing. Do they work? I sat down at my laptop, slipped on my new Joule eyewear, and was amazed. It was late afternoon, I’d been working all day, and the second I put them on I felt my eyes relax. I didn’t realize how strained and tense my eyes were until I put on these glasses and the tension disappeared. I wore them for the rest of the day and by the end of the night my eyes felt better than they had in weeks. And this was just from a few hours of wear. Over the course of the next few weeks, I left my Gunnar eyewear sitting right by my laptop so I’d remember to put them on and it became habit within days. Not only did I notice a significant reduction in eye fatigue, but my eyes felt better. They weren’t as dried out and, as someone who wears contacts, I didn’t feel like they were stuck to my eyes after a late night of writing. 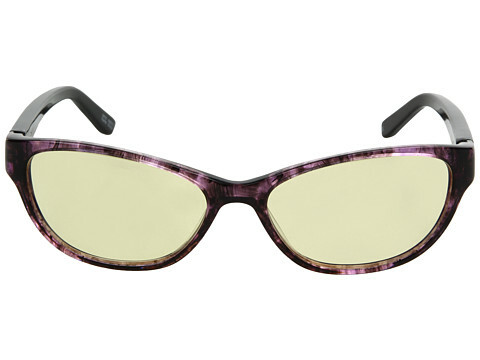 The frames themselves are also very comfortable and lightweight. I didn’t notice that I was wearing them and sometimes even forgot I was until my kids asked me why I was wearing the glasses while making dinner. They improved my time at the computer screen, but didn’t interfere with other activities. The Gunnar Joule computer eyewear retails for $99 and can even be ordered with prescription lenses. There are styles for men and women in a variety of colors and even lines for gamers and 3D viewing. If you spend a lot of time in front of a screen, do your eyes a favor and invest in a pair of Gunnar Optiks.